Jeu de Paume (which literally means "game of the palm") was played only once as an official sport at the Olympic level, in 1908. The competition was held at the Queen's Club in West Kensington, London. 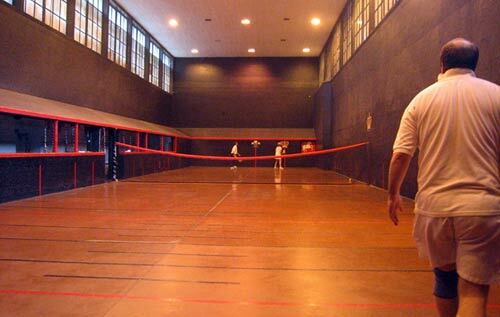 Jeu de Paume is also called 'Real Tennis' or 'Court Tennis'. What we now call Tennis or Lawn Tennis (which was also a demonstration sport and now an official Olympic medal sport) is derived from this older version of the game. In addition to once being on the official program in 1908, an outdoor variation of jeu de paume called longue paume was a demonstration sport in 1900.